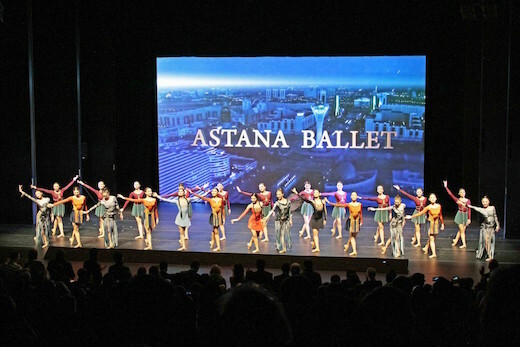 Astana Ballet team performed at the famous Lincoln Center in New York. Gala concert of one of the Kazakh leading choreographic teams attracted great attention of local residents. The performance was attended by about 1100 spectators. Ambassador Kairat Abdrakhmanov and Raushan Yesbulatova, Consul General of the Republic of Kazakhstan in New York welcomed each quest at the at the foyer and the guests were taken photos with the Ambassador and his wife Myra at the tradational Kazakh yurt. Hundreds queued outside the most prestigious hall in the USA. 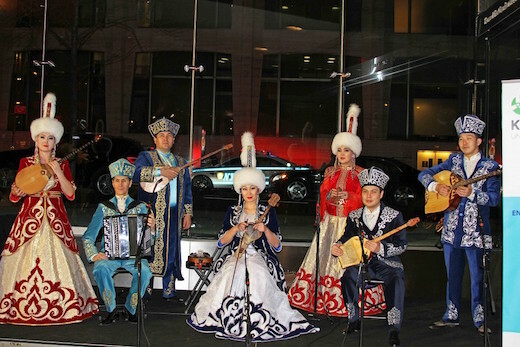 While some New York residents were trying to get a ticket, others in some diplomatic missions organized a lottery for those wishing to watch the Kazakh performance. 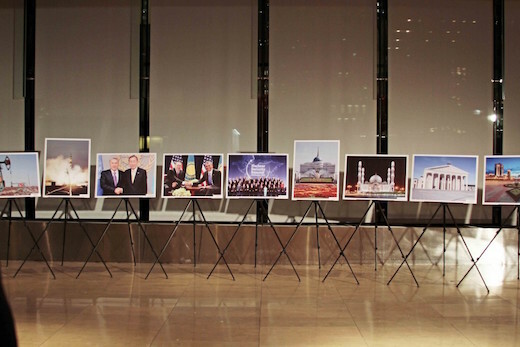 Visitors were able to look at the photo exhibition and a Kazakh yurt and listen to a folk ensemble ‘Oral Sazy’ in the foyer of the popular arts center. Kazakh Fol Ensemble Oral Sazy. Christina Gayak, Deputy Secretary of UN: I can only congratulate all the performers of this beautiful ballet. The type of the event we just saw is amazing. It is really a fantastic combination of traditional music, and traditional dancing. Delicate beauties appear on the scene of the Lincoln Center. The audience witnesses a spectacular performance of young creatures that in a moment turn into energetic and cheery performers of ‘Karlygash’ dance. Breath of the Great Steppe is felt while performing striking scenes from ‘Zhusan’ and ‘Alem’ ballets. The audience was fascinated by sophisticated choreography, Kazakh music and video installations. Astana Ballet at the stage. Missouri Sherman-Peter, Permanent Observer of Caribbean Community, UN: I think today’s performance was awesome! Everything about it was perfect. The backdrop was fantastic; the dances were very exotic and very fantastic. It was a great ballet! I have never seen anything like this before. The unusual program of Astana Ballet team astonished the audience with new ideas and uniqueness of the Kazakh dance. 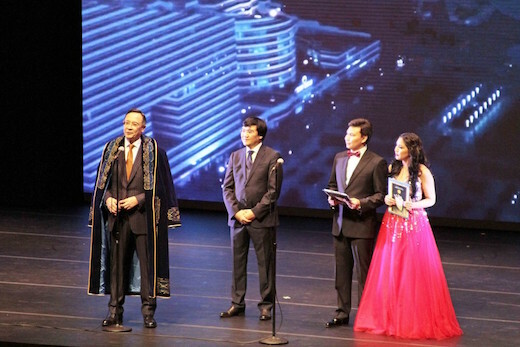 The leadership of the United Nations, more than 100 ambassadors, consuls general of different countries and the American public attended the bright gala concert of Kazakh troupe. Rose Kayola, Director, Manhattan Ballet School: I was very impressed with the dancers, having impeccable training, as well as a beautiful upper body. And the production values are incredible, the costumes and the scenery. It was really a magic performance. I was very moved. Ambassador Abdrakhmanov with traditional Kazakh custom.